Archean oxygen oases: aerobic ecosystems on an anoxic Earth? Several lines of evidence now suggest that the origin of oxygenic photosynthesis substantially predates the first geochemical hints of atmospheric oxygen during the Paleoproterozoic Great Oxidation Event (GOE)--potentially by as much as half a billion years. Despite limited influence on atmospheric composition, models demonstrate that oxygen accumulation likely occurred in 'oxygen oases' on an otherwise anoxic planet. These oases would have hosted biologically significant oxygen levels and supported aerobic ecosystems. Ongoing work involves characterizing these environments in the geologic record and distinguishing the geochemical signatures of marine oxygen oases from so-called 'whiffs' of atmospheric oxygen and oxidative processes within microbial crusts. What caused the Great Oxidation Event? Geochemical analyses of ~2.6 billion year old shales from Australia challenge conventional wisdom regarding the shifting balance of oxygen sources and sinks in the lead up to the Great Oxidation Event. Stay tuned! Why did oxygen stay low during the Proterozoic? Even following the so-called 'Great' Oxidation Event, oxygen failed to approach modern levels for another two billion years--and we don't entirely know why. One possibility is that oxygenation negatively impacts the bioavailability of critical nutrients, such as nitrogen. In this scenario, a negative feedback disfavors further oxygenation because increases in oxygen tend to reduce the oxygen generating potential of the biosphere. If correct, it is not obvious that today's oxygen-rich atmosphere was an inevitable consequence of oxygenic photosynthesis. Understanding Proterozoic oxygen regulating mechanisms is therefore integral to understanding the likelihood of complexity elsewhere in the Universe. Did oxygen levels throttle the emergence of increasingly complex life? We have long suspected that increases in environmental oxygen levels facilitated the development of increasingly complex life on Earth, including the rise of animals. Nonetheless, sorting out the details of these relationships has been challenging due to limitations inherent to our geochemical proxy records. 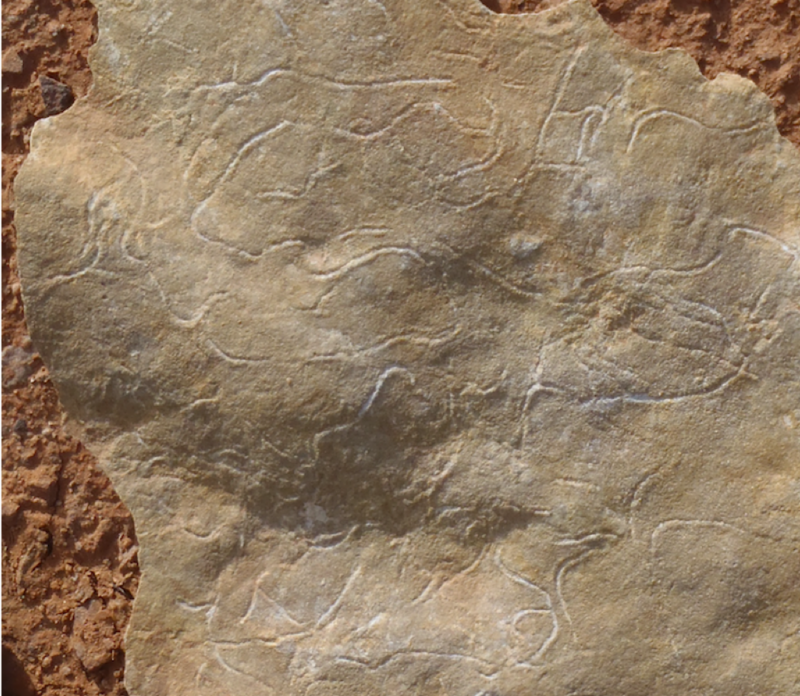 New insights from trace fossils and a numerical model now provide evidence for an important role for oxygen in early animal ecosystems--but the relationships may be more complicated than previously thought. Stay tuned!